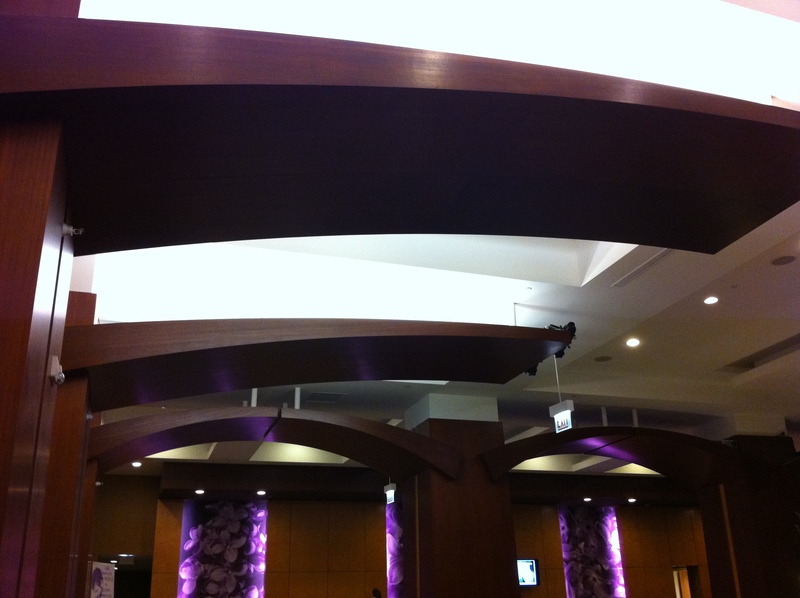 I’ve been noticing more and more wood appearing on ceilings — take a look at the image below from a hotel lobby. I like the curvature and canopy effect it brings to the indoor space, even to help define the spaces below. Granted, while it’s more sculptural in nature, it’s a way to take what you traditionally see underfoot and bring it overhead in a different fashion. I’ve also seen where designers have taken wood flooring and have run it up the wall and some have even attached it to the ceiling to give the room a different dimension and more impact when you look up. Posted on May 22, 2011, in Interior Dezine and tagged architecture, hotel, Interior Design. Bookmark the permalink. Leave a comment.